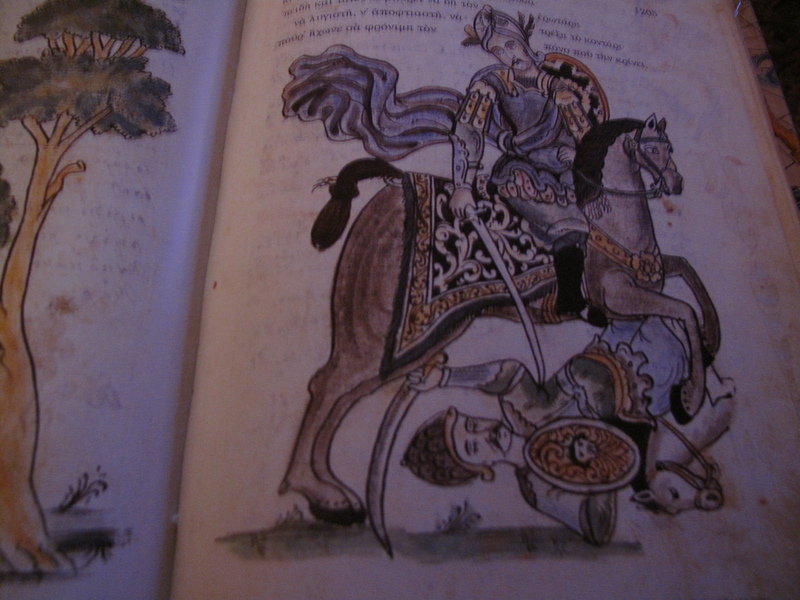 The renaissance book ‘ Erotokritos’ is the unique saved manuscript with colour illustrations and it belongs to the library of the Rumanian Academy. 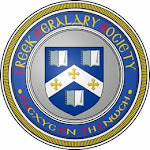 The book is translated to the Rumanian language from Greek (the bellow photos and the text is from the ΑΔΑΜpublication in Greek and it is published in the Greek language). 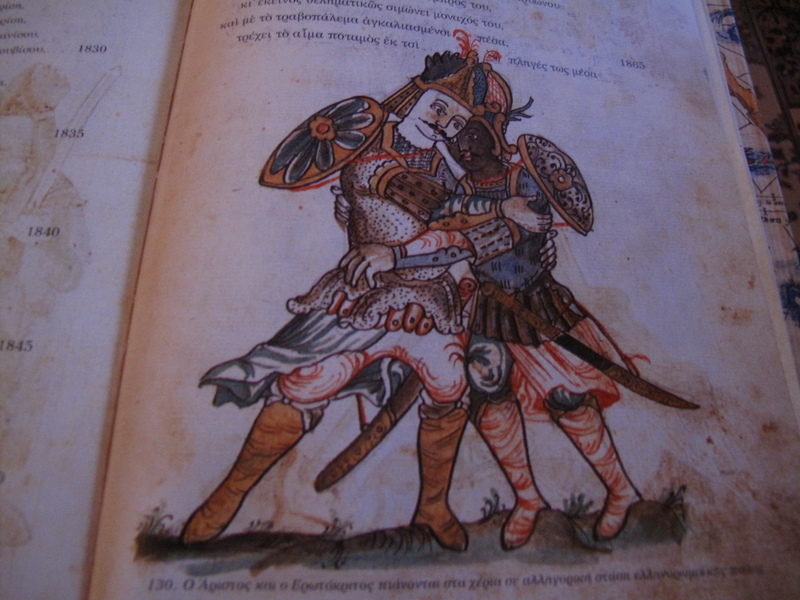 This book was written from Vitsentzo Kornaro at the city of Citia in Crete at the year of 1645. 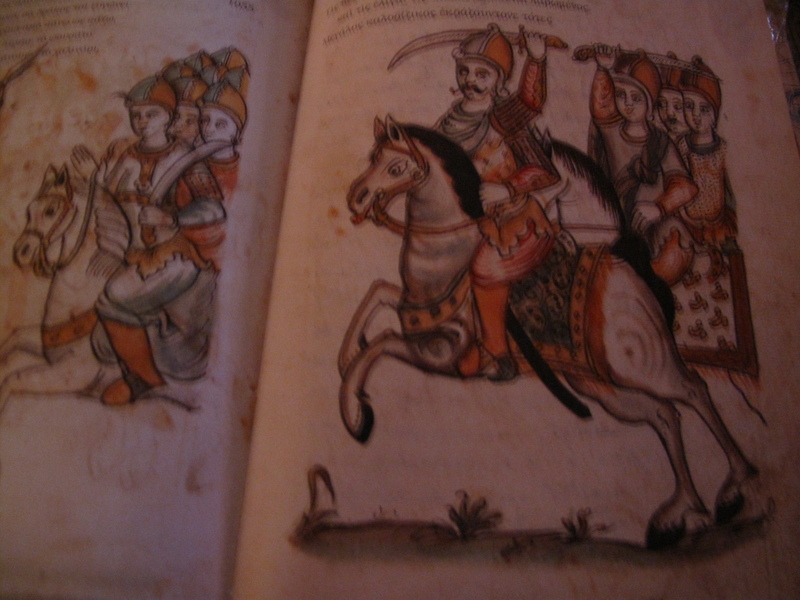 The illustrations was made from Petraki at the age of 1787 (code Β.R.A. 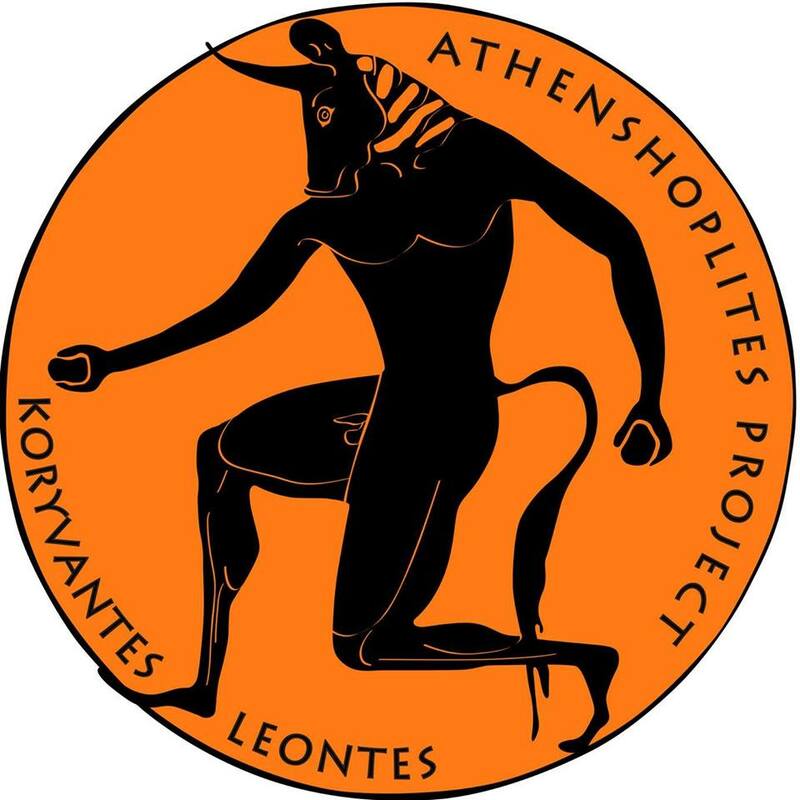 3514), and the calligraphy was done from Ionitza. 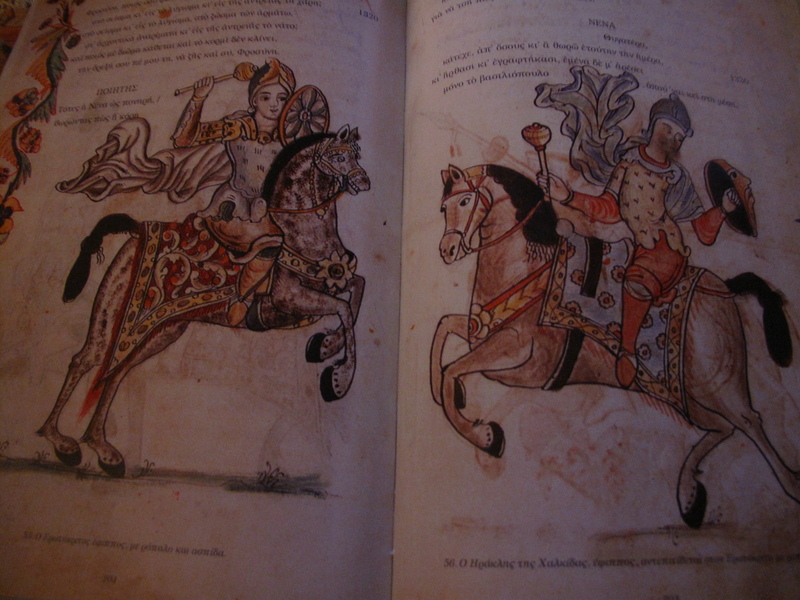 Both of them where have an older book of Erotokritos of unknown calligrapher and illustrator. 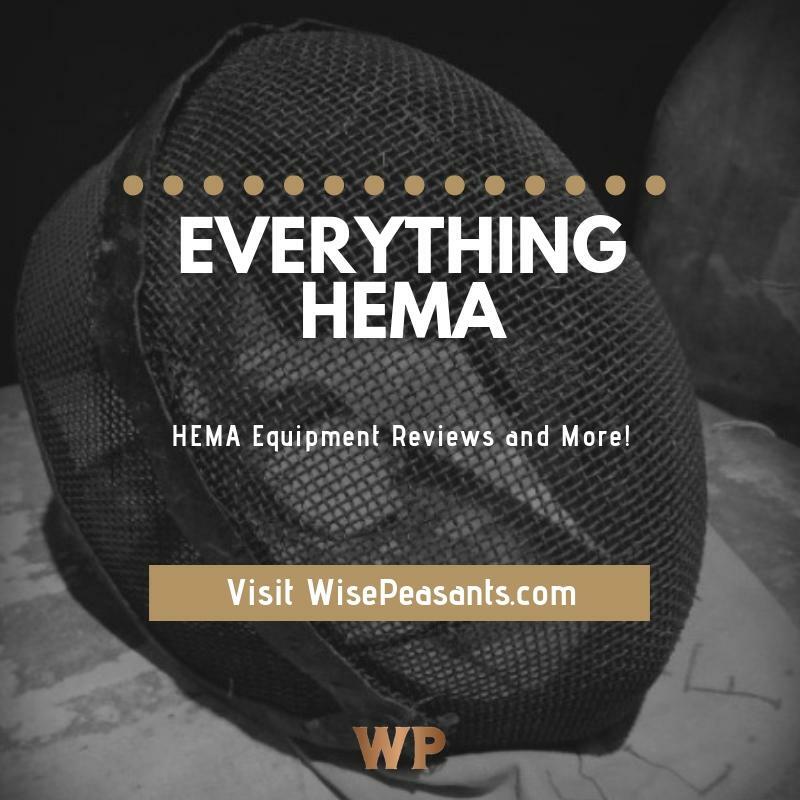 At the bellow illustrations we have to watch to the armorand weapon equipment of the hero and his friends and foes. It is an echo from the world of the folk enunciation of this age. We are going to see the fundamental world of Byzantium with sensitive touches from Turkey, India, and Balkans and colors from Persia which marriage with the taste of Venice. 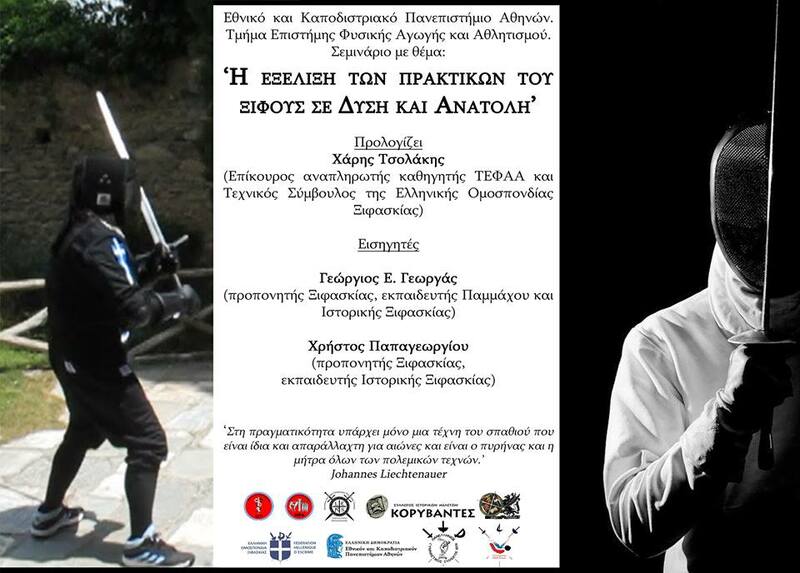 I have to thank my scholar Mrs. Anezoula Dedousi who she trust to me her book study it and Mr. Terzoglou (father of my scholar Nikolao Terzoglou) for his useful advices for the elaboration of this book. 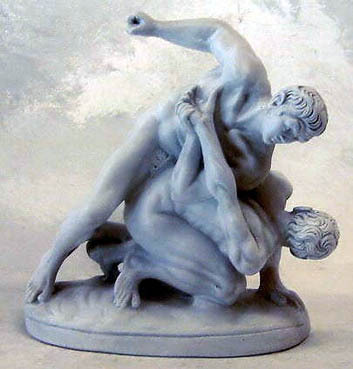 p.179r Aristos and Erotokritos start to wrestle in an allegoric stance of Greco-Roman wrestling technique. Look at the equipment. 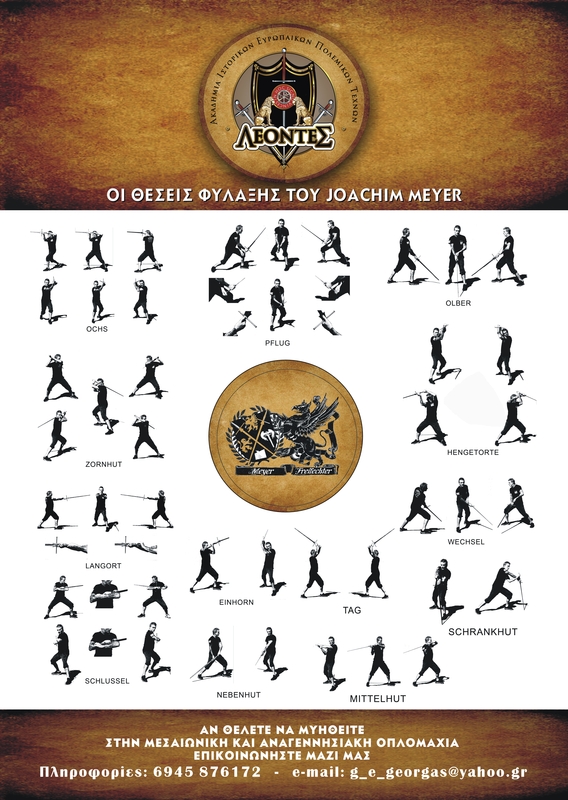 Both of them has saber (παραμήριον) and small shields, also Erotokritos has a shield that it is such as the buckler. 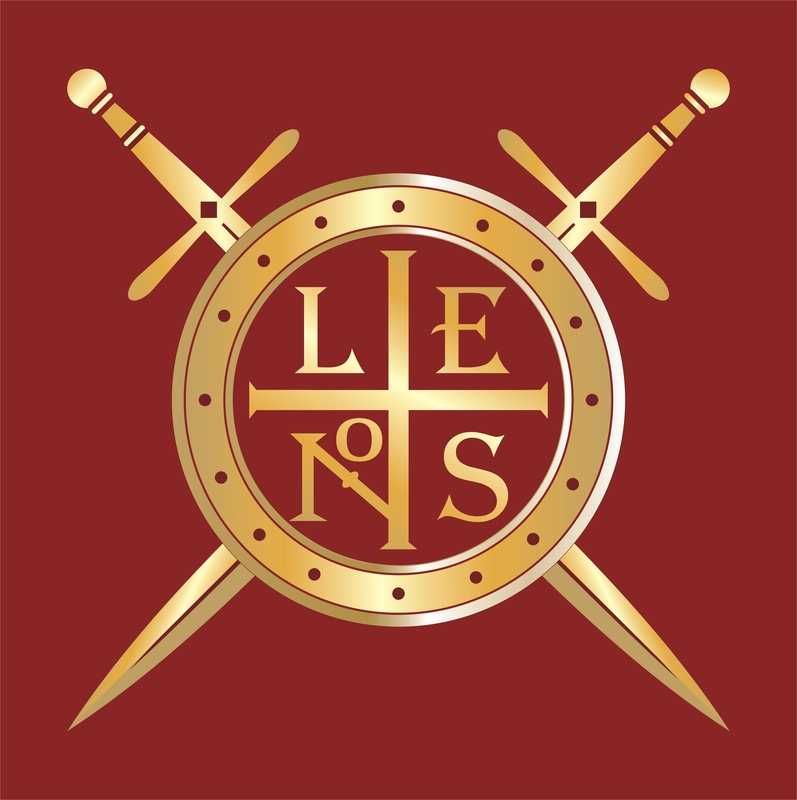 The Byzantine cavalry had shields with 30cm diameter such as buckler. 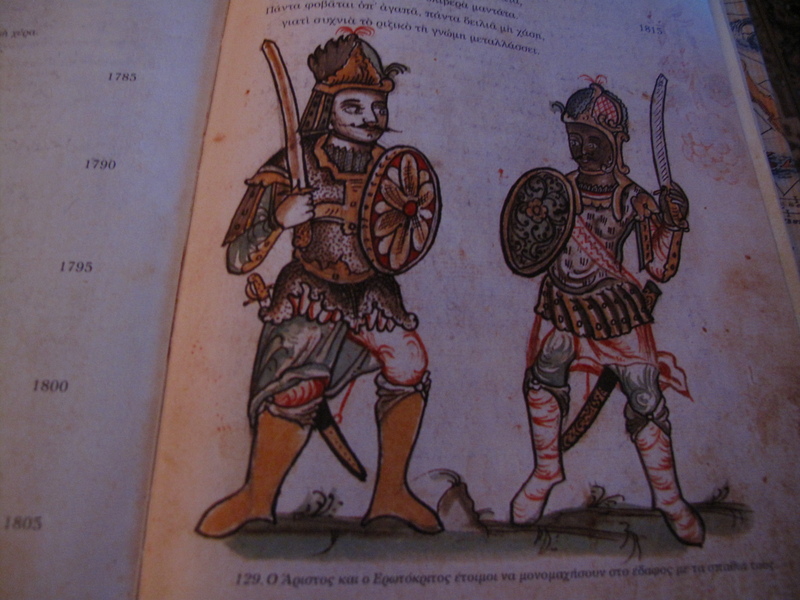 p.178r Erotokritos and Aristos are ready to duel with their swords. 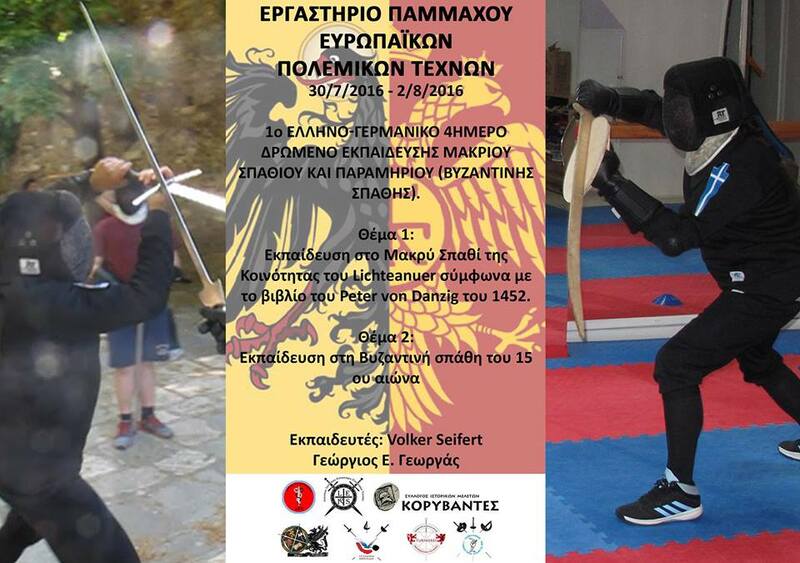 Both of them are curved swords (παραμήριον). 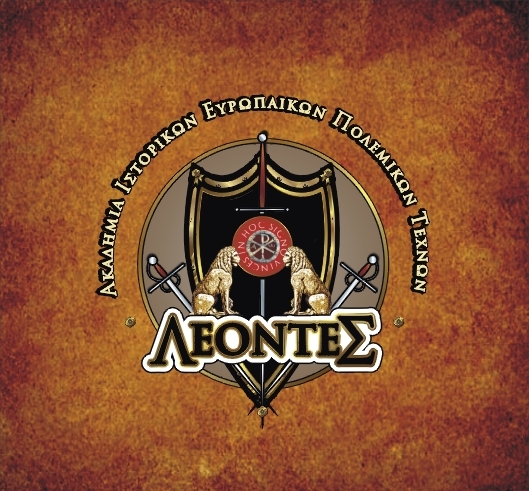 p.176.r Erotokritos charge with his saber and his small shield to his other hand. 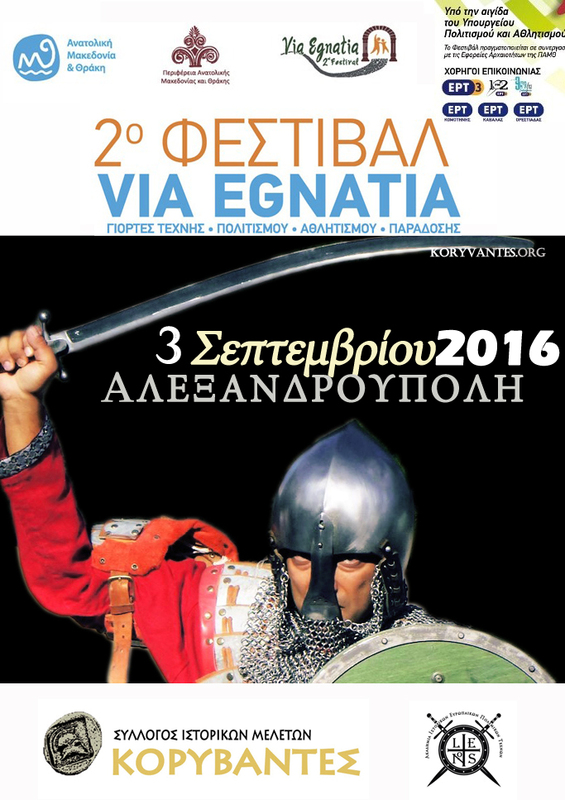 Again we have the model of a Byzantine cavalry man using a curved sword and a small shield of 30 cm in diameter. p.160l Band of warriors charging. 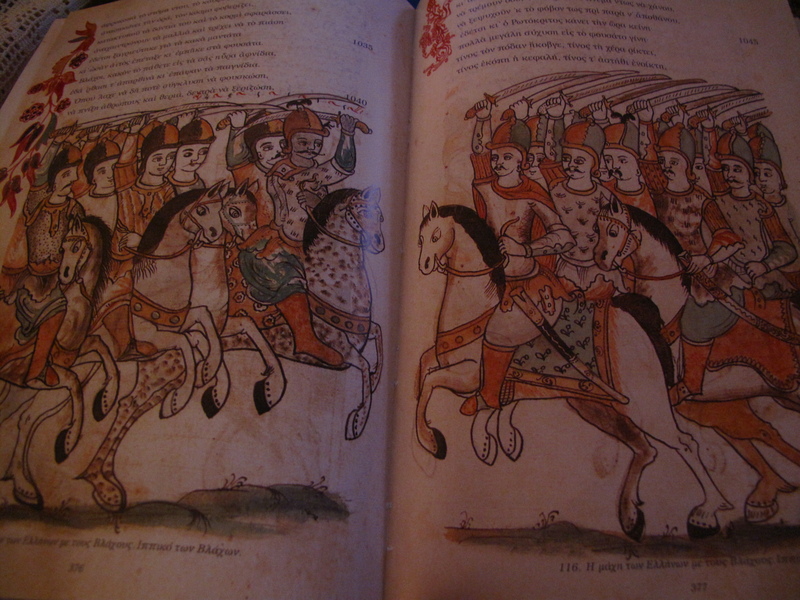 p.158l-p.159l Vlachian cavalry charge against the Greek cavalry. 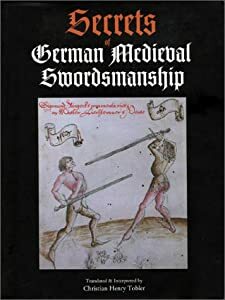 Both armies armors and swords were almost the same. 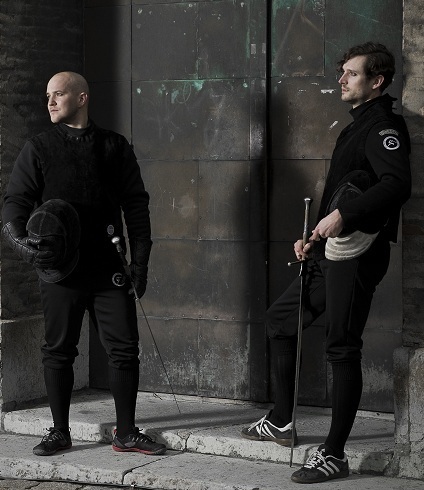 Especially their swords type. There were all sabers. 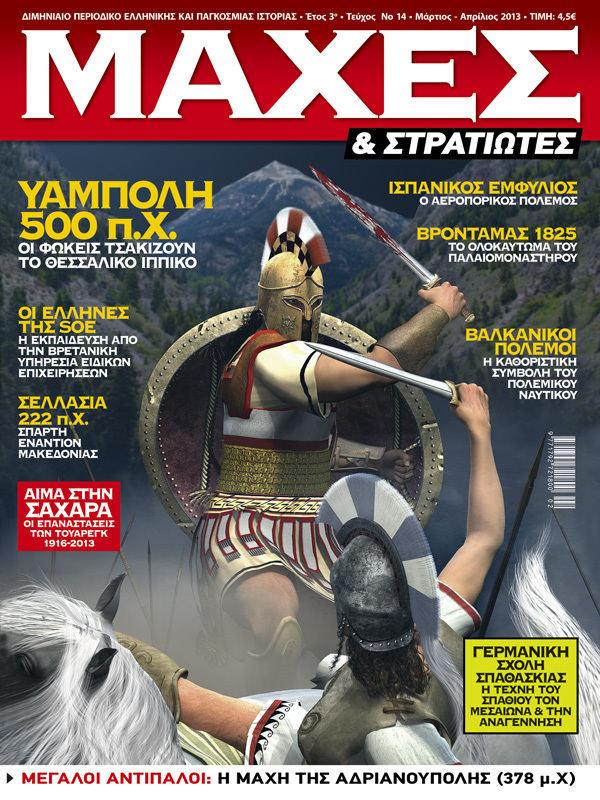 p.79l Kyprodimos is ready to charge against Pistiforo with his mace and his small shield (30 cm). 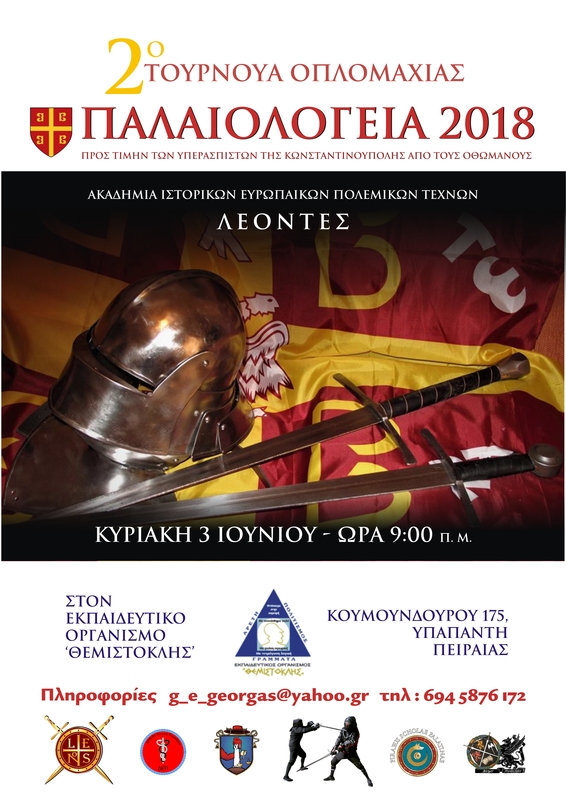 We have to unterline here that the fundamental weapons of theByzantine kataphracts (they had also swords of type spathion two edged long blade swordsandthe sword type of paramirion. 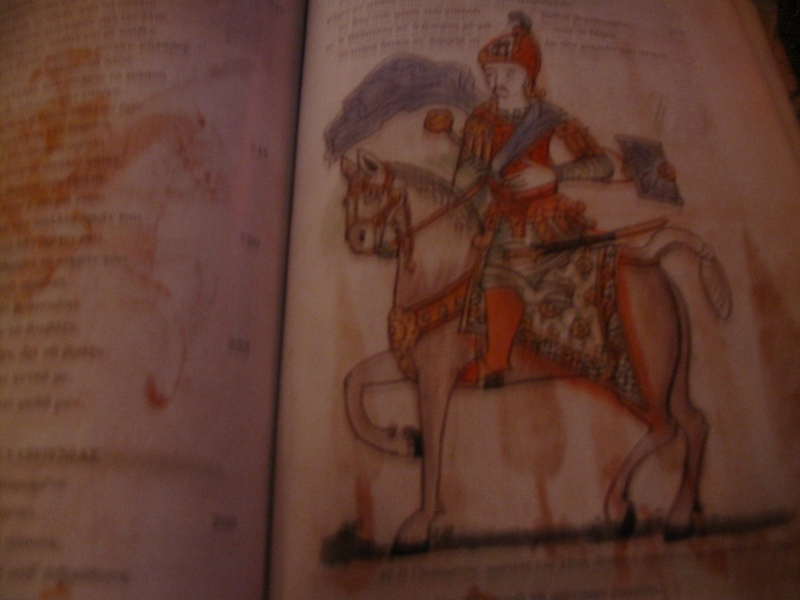 The weapons include also with a lance) of the cavalry of the Byzantine Empire was the mace. 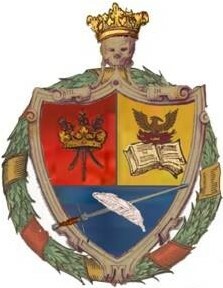 It is in use with a buckler like shield. 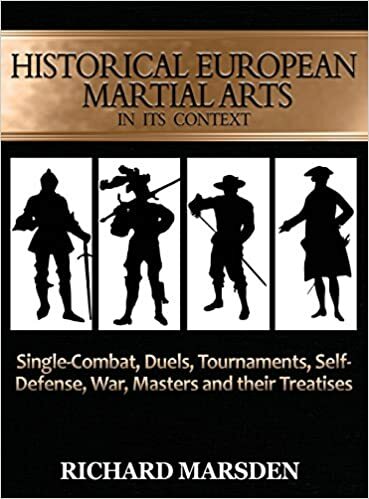 I have to say that the Southeastern European warriors had another style of martial art with the use of buckler and small shield, a little different than what is written in fechtbooks of the German masters of arms. 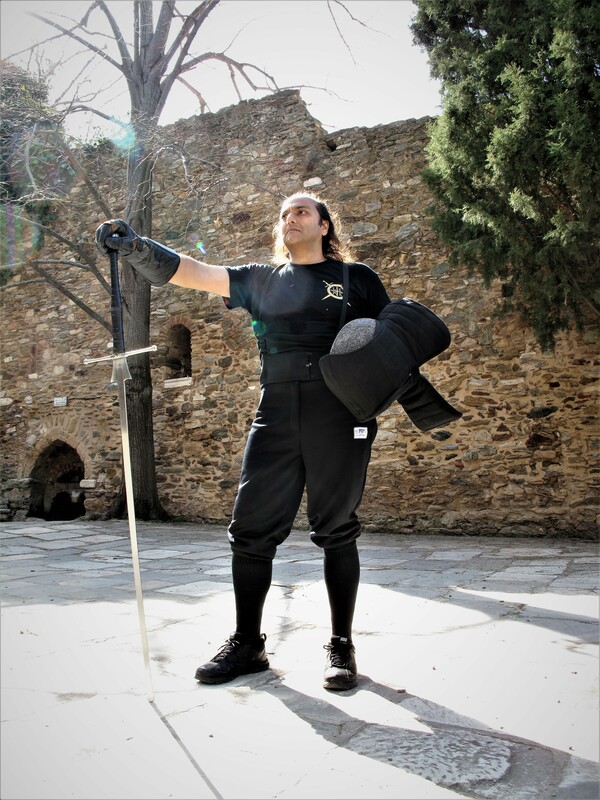 This tradition style of fight with the use of saber type sword or mace and with the use of small round shield (of buckler type) was in common use in Balkans and also in Russia and Georgia. 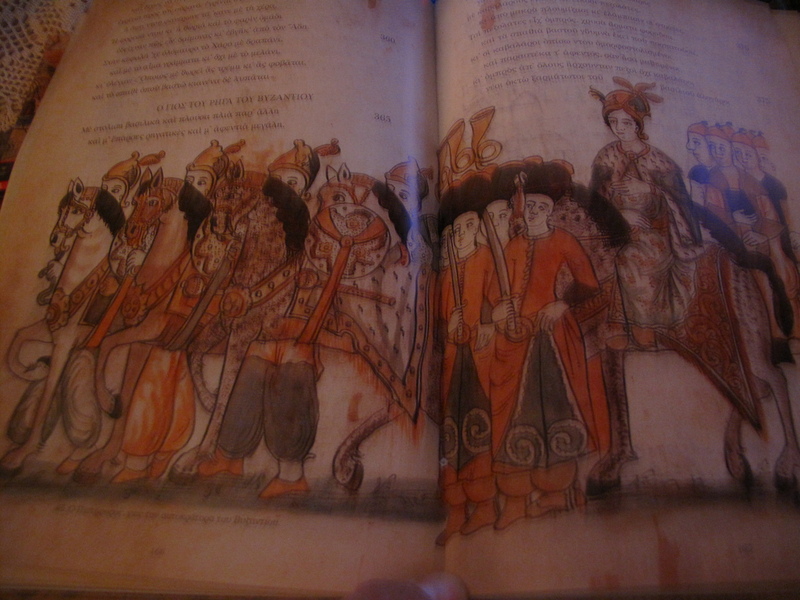 In Georgia this style was ‘survived’ as a traditional dance. 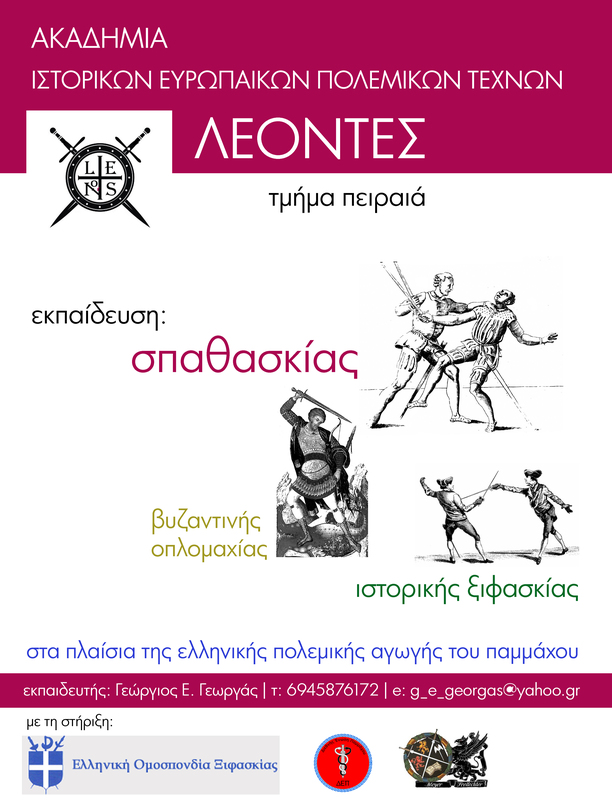 Here in Greece it is forgotten as art but survived the tempo and the rhythm of traditional folk dances (with out the use of shield and weapons). 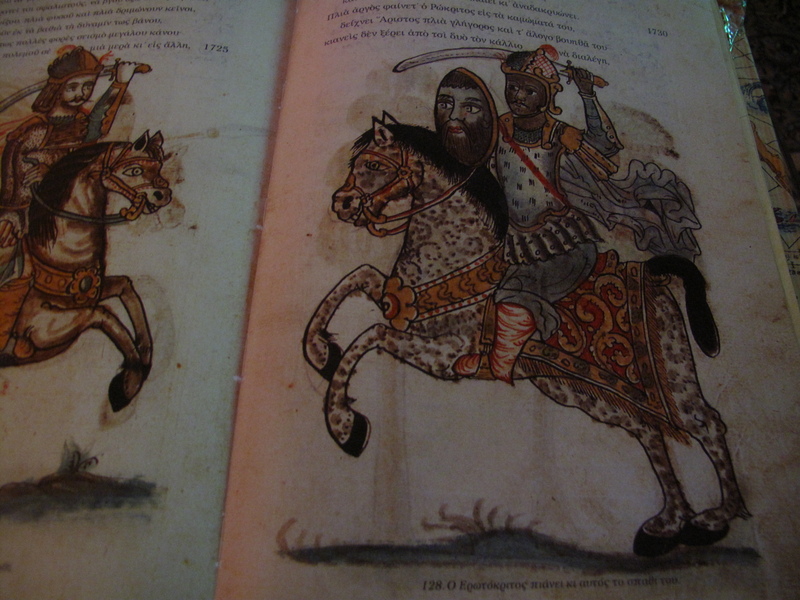 The art was forgotten because the Ottomans have not allow the Christians to use any type of weapons. 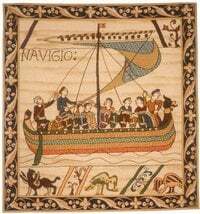 The only Christians who use weapons here was only who were been brigands or mercenaries. 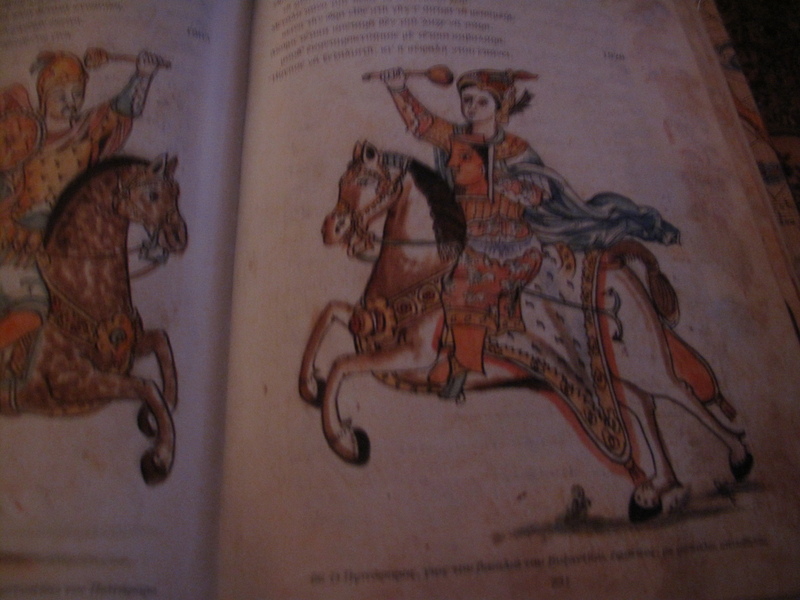 p.80r Pistoforos the son of the king of Byzantium charges. 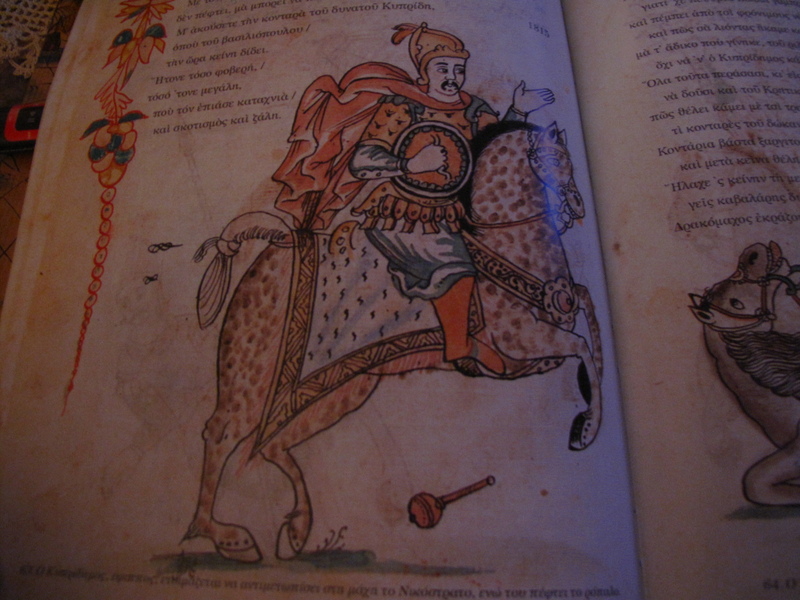 p.78l Kyprodimos on his horse, he is ready to face in battle Nikostrato as he is losing his mace. Note: see his shield. 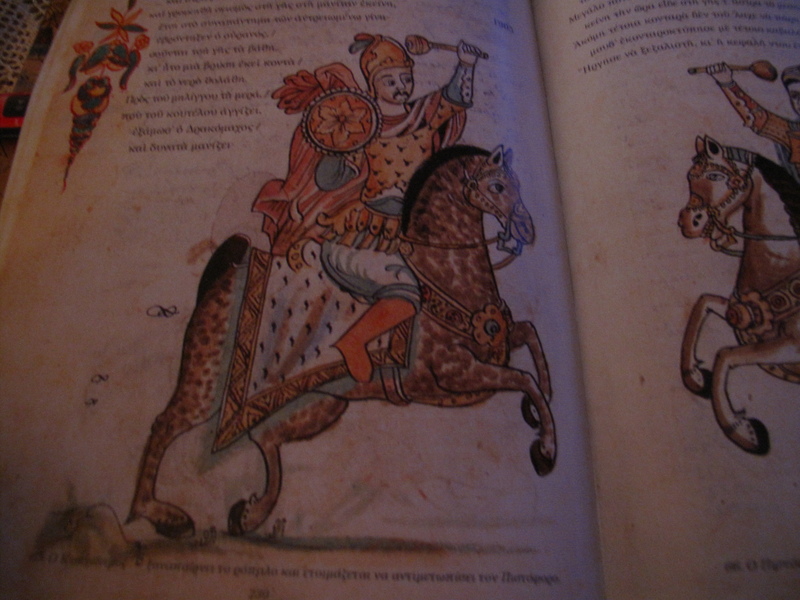 p.71r Charidimos injure with his curved sword his foe Spidolion (Spidolion also use curved sword and buckler like shield. 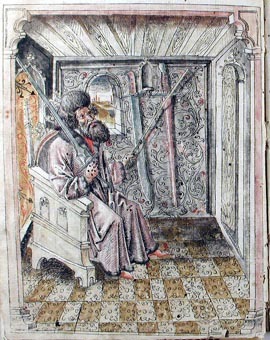 p.58l-59r Pistoforos is the son of the king of Byzantium in the book Erotokritos. He is on his horse with many servants. Note: Look the weapons of his guards. 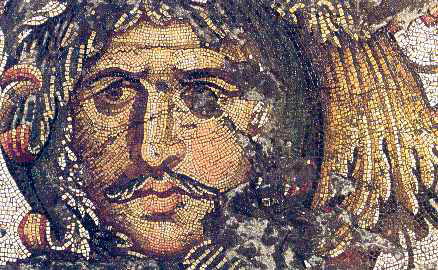 p.57r Glikaretos,lord of Axias (Naxos island) with a mace and a small shield at his hand. 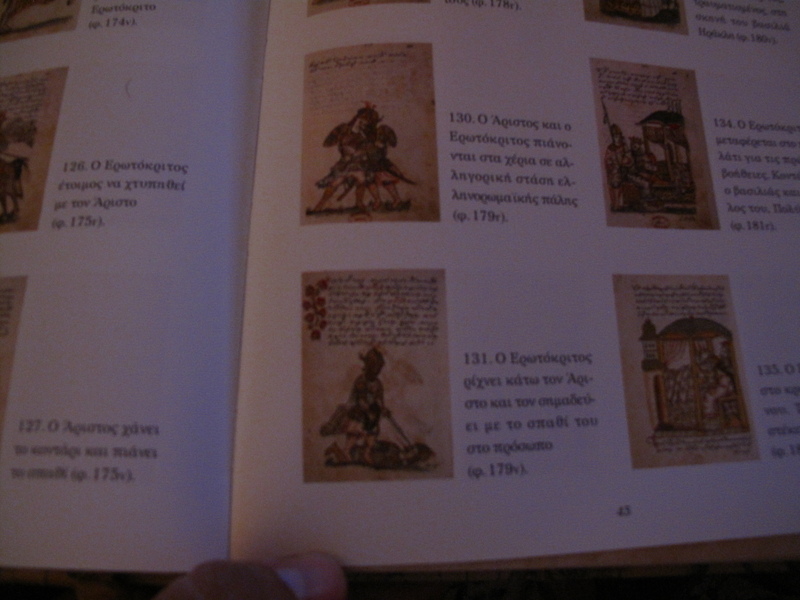 At the small illustrations are the illustrations from the prototype book with the text in Rumanian language. Mr Terzoglou explain with what procedure erase the Rumanian language without destroy the illustration and how the translator wrote the book again in Greek language. It is an extremely difficult but also nice work. 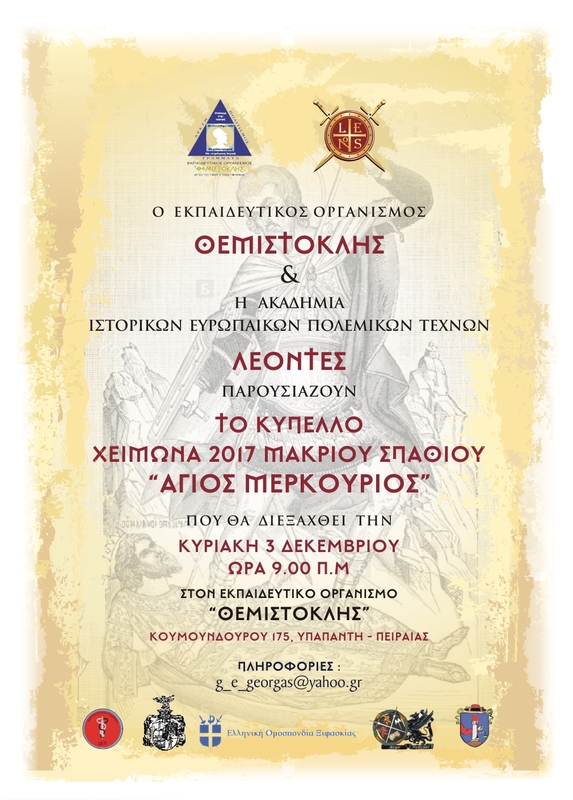 Βυζαντινό (ή περσικό της δυναστείας των Σασσανιδών) σπαθί 1.8 μέτρων του 6ου αιώνα μ. Χ.